It’s been a relatively slow year so far in terms of departures from D-FW’s four major TV news providers. 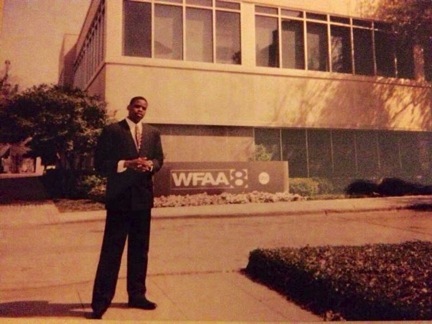 But TEGNA8 is losing a significant presence in reporter/anchor Marcus Moore, who will be leaving at the end of September after joining the Dallas-based station in January 2012 as a reporter in the Fort Worth bureau. Moore, who most recently reported extensively from the scene of Hurricane Harvey, told unclebarky.com Friday that “right now I cannot confirm where my next move will be.” But numerous sources say he won’t be going far. 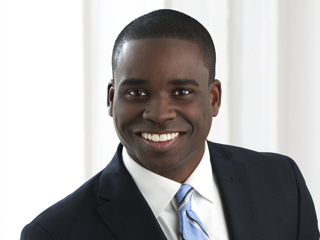 Moore will be joining ABC News’ Dallas bureau. Moore otherwise had glowing words for the station he’s leaving. During his final months at the station, Moore has anchored weekend Daybreak in addition to rotating through weekday editions of that early morning program and the station’s 4 p.m. newscasts. For a while he also co-anchored the 4 p.m. news with Shelly Slater, but Moore’s principal strength was as a field reporter. He arrived in North Texas after a six-year career at Kansas City’s KMBC-TV as a reporter and fill-in anchor. During an earlier stint at WAPT-TV in Jackson, Mississippi, Moore filed live reports from the Gulf Coast as Hurricane Katrina made landfall. His recent reporting on Hurricane Harvey cemented ABC News’ decision to hire him. Courtesy of Moore, here is the high school picture which he earlier referenced.